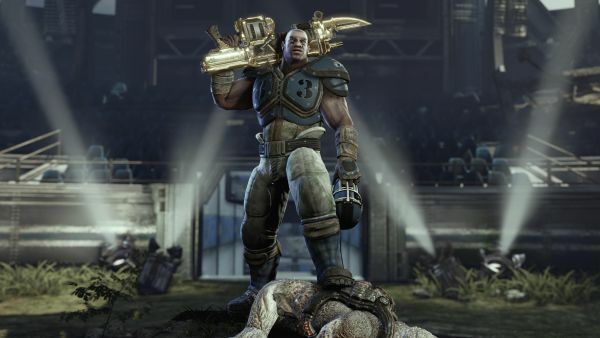 Even though Epic Games' slick idea to unlock items in Gears of War 3 for players who have attained certain Achievements in Bulletstorm, Unreal Tournament III, and Shadow Complex failed miserably...they have re-confirmed that certain Gears of War and Gears of War 2 Achievements will still garner some cool unlocks. In a nice touch, Gears 3 will even recognize Games for Windows Live Achievements from the PC version of Gears. So far we know that golden weapons (namely, the Hammerburst and the Lancer) will carry over, and a new chrome weapon skin will be available. Characters for multiplayer modes have also been implied. Page created in 0.2606 seconds.